This Second Edition is based on the authoritative texts chosen by the editors from their scholarly edition of The Complete Poetry of Percy Bysshe Shelley. Arguably the most original book of the eighteenth century, A Vindication of the Rights of Woman is a pioneering feminist work. The best-selling student edition on the market, now available in a Second Edition. Almost two centuries after its publication, Frankenstein remains an indisputably classic text and Mary Shelley’s finest work. 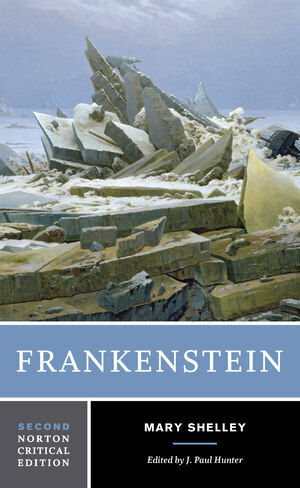 This extensively revised Norton Critical Edition includes new texts and illustrative materials that convey the enduring global conversation about Frankenstein and its author. The text is that of the 1818 first edition, published in three volumes by Lackington, Hughes, Harding, Mavor, and Jones. It is accompanied by an expansive new preface, explanatory annotations, a map of Geneva and its environs, and seven illustrations, five of them new to the Second Edition. “Criticism” collects sixteen major interpretations of Frankenstein, nine of them new to the Second Edition. The new contributors are Peter Brooks, Bette London, Garrett Stewart, James. A. W. Heffernan, Patrick Brantlinger, Jonathan Bate, Anne Mellor, Jane Goodall, and Christa Knellwolf.